Hover: One of the popular hosts, with high-end pricing. They are quite straight-forward about their services and purposely priced high. They are priced at $15/yr, which includes domain registration and WHOIS privacy. The WHOIS privacy ensures that the URL will show as registered to Hover and not show the name of the actual owner. This privacy feature is usually an extra charge from other companies. Name Silo: Priced at $9/yr, it is a lesser known domain registrar. Despite its much lower pricing, it also includes WHOIS privacy. Yours Domain: Another unknown service for domain registration, it charges $10/yr. It also provides two email accounts included in the price. This service would be an extra $45/yr from Hover. Go Daddy: One of the most popular domain registrars, provides its service at $13/yr. Currently, they have a deal for $5/yr. Their price also include an email address, hosting a one page website and hosting a photo album. Even though the price differences translate to a few cents per month, I needed a service to give me the basic domain registration. Since I was not making any money out of it, I wanted it to be the cheapest service available. I chose the Go Daddy service primarily of the price. All extra services provided by other companies were not going to be used by me. If I was looking to register a domain for a business, I would have probably had a different way of comparison. After registering the domain, I hosted it using Google Apps. It is an excellent service provided by Google and integrates very well with all the other Google services I use, including Blogger. When I started writing this blog two weeks ago, I had no idea what I would write about for every post. For every new blog post, I tried to pick a random topic, research it and then write about it. I got this idea from a Lifehacker article by Christ Storm "366 Days, or How I Tricked Myself into Being Awesome". At the end of a year, he had gained knowledge about 366 different things and also made himself a credible blogger. Now that I had decided to write a blog, I needed to pick a name for it. 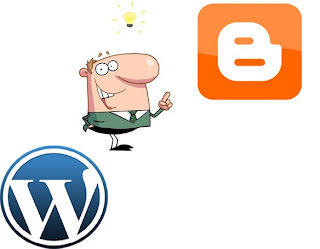 Usually, names of different blogs suggest to what topic the individual blog covers. Since I had not picked a specific topic, it became harder to pick a specific name. Fortunately, I had the help of my wife, who is a creative designer by profession. We came up with numerous names, but none of them were good enough. A few options were Hoop Design, Blog It, Zef's Spot, Zef Flash, Zef's Plug, Zef's Escapades, Zef Tech, Zef's Capers and many more. They just didn't seem right. Either they weren't catchy, or the domains weren't available, or just didn't sound right. As I mentioned in my previous post, the Samsung Galaxy Nexus by Google is a good alternative to either Galaxy S3 and HTC One X (which I compared earlier). PhoneArena website did a very detailed comparison of all 3 phones. All of those, have Android 4.0 Ice Cream Sandwich, almost similar size of screen, thickness and weight. The Nexus phone has no expandable memory, like the One X. It comes with standard 16GB( HSPA+) and 32GB(LTE). It also has Super AMOLED screen, same as the S3, while the One X has Super LCD2. The Nexus has a 1750 mAh battery while the One X and S3 have 1800 mAh and 2100 mAh batteries respectively. On the other hand, with the Nexus, there is an option of getting an expandable battery of 2100 mAh for $30. So far, there is no reason to choose either one of the 3 devices. Now let's take a look at the costs! The HTC One X retails for $580, Samsung Galaxy S3 for $800 and Galaxy Nexus for $400. This would definitely be a deal-breaker! The price differences are vast enough to confirm that the Galaxy Nexus would be the best buy. Since the last couple of months, I have come across a lot of blogs online which are debating whether it's cheaper and better to go with a prepaid cell phone connection, or stick to the 2 year contracts that are usually advertised. There have always been prepaid options available, but rarely did people consider them seriously. Recently, people have started using more data and less text and minutes on their cell phones. Because of this, the big 4 companies have started charging more for data connections for smartphones. But prepaid connections give you the freedom to choose packages of less text and minutes and more data, therefore being a much cheaper alternative. On the other hand, being on-contract for 2 years, you get an expensive phone at a subsidized rate while you have to pay full price for the same phone if you go the prepaid route. Does this subsidization justify paying more monthly charges for 24 months? Cass, a gdgt.com writer, got really pissed at Verizon, which triggered him to do a comparison between prepaid and on contract deals available by all carriers. His detailed comparison can be found here. AT&T and Verizon are vague about letting you buy your own phone even on prepaid plans. On their websites, they keep pushing you to buy a phone from them. Don't know how cooperative they will be if I bring my own phone. None of the above plans include taxes. I think usually prepaid plans have taxes included in the price, but I can't be sure about that. The phones I selected for the on contract deals, I selected the phones which I would get if I would buy if I were to sign up with their service. If I were to go for a prepaid option, I would get the Galaxy Nexus by Google. Currently, I came across this one which seemed the most reasonably priced Android 4.0 phone. Detailed comparison will follow in another post. Apparently, T-Mobile's prepaid connection is by far the most cost-effective. Although, I have heard T-Mobile's service and coverage areas are not that great. It might be worth my while to use it for a month in Minneapolis to find out if it's good or not. Andrew Martonik, on his blog, also lists reasons why he jumped to prepaid service. He lists a couple of caveats of prepaid service: no nights & weekends and no roaming. He also suggested installing Google Voice to be able to use data primarily and save on minutes. It's a very good idea, I already have Google Voice and I agree that it would be great to be able to use it on 4G and save minutes and text on a prepaid connection. Some users on the XDA Developers' forum have not been happy with the prepaid services. Their complaints about data throttling and unavailable customer service are quite a few. A big reason I would go for a prepaid connection is that so I can also have the flexibility of switching carriers if I am not happy with the service. Since I will be new in the city, I don't know which carrier will have a good service where I will be living. This gives me good reason to get a cheap prepaid connection and switch after a month if I'm not happy with them. When I started writing this blog a couple of weeks ago, the first name that came to mind was... Wordpress! It's popularity among bloggers is great! They have such a strong branding among bloggers, that I didn't think twice about which site to host my blog on. Now, I wanted to make changes, and that's when things started to become complicated. Firstly, trying to point my blog to my own domain name, Wordpress started talking money. Their Domain Mapping System costs $13 per year. It was also extremely complicated. It would probably be easy if I had a popular host like GoDaddy or Hover or something like that. Another option was that I register a new domain through them which would cost me $18 per year. The prices are very reasonable, but for someone who is just doing it as a hobby, without getting any income from it, even paying a few bucks is something to consider. Another problem I faced was that I wanted to use Google AdSense on my blog and try to monetize it. Wordpress does not allow ads on blogs hosted on their own domain. So, either I pay them and get my own domain to earn money, or stay on the free model and not monetize it either! Such tight restrictions came as a big surprise to me. Apart from that, I wanted to customize the look of my blog. Trying to customize it, I needed to pay $30 per year more to be able to custom design it. So, any changes from the regular old stuff I would need to pay more! Even though they have a lot of template options, I wanted to have the freedom to customize it. Doing some searches online, I came across Google's competitor to Wordpress: Google Blogger. As it has always been the case with Google, they don't charge for anything! In fact, integrating Google AdSense with my blog was a matter of a couple of clicks. If I want to register my own domain, I just need to type it into one setting of Blogger and it's done. Customizing the whole look is very simple (and of course free!). They even give an option of customizing the CSS of the blog. 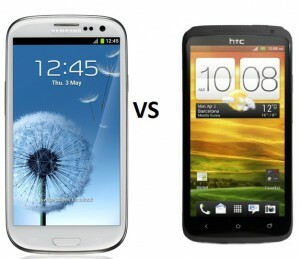 In my earlier post, I compared HTC One X against Samsung Galaxy S3. At the time, I had considered those two phones to be the best Android phones released so far. 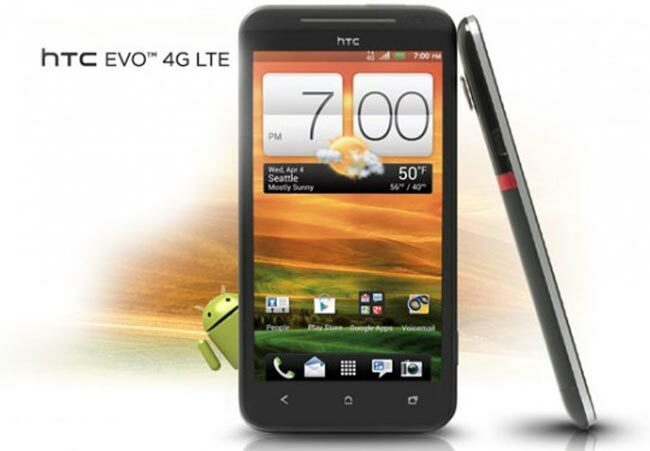 Less than a month later, HTC has come out with Evo 4G LTE touting it to be the best Android phone. According to her, the differences between the One X and Evo 4G are very few. The Evo has a kickstand and an aluminium finish, while the One X doesn't have a kickstand and has a poly-carbonate finish. Another major difference is that the Evo has a microSD slot. Another impressive review of Evo 4G by Nathan Olivarez-Giles of Wired emphasizes that the Evo is Sprint's version of the HTC One X on AT&T. According to Tyler Lee on ubergizmo, there are strong rumours that the Samsung Galaxy S3 will be on all US networks. Considering Sprint does not have a 4G network, using Sprint network has been ruled out. So, the HTC Evo 4G might be a good alternative to HTC One X, but not my choice, as I would prefer to use a 4G network. During the last few months, the hottest debate has been whether it's even worth paying for a cable TV connection when everything is available on the internet. Let's compare the costs first. In Minneapolis, the main companies providing the cable TV services are Comcast and Charter Communications. Comcast charges $50 per month and Charter charges roughly $65 for the same. Assuming that I will be getting cable internet anyways, I will need to upgrade it to have streaming TV over it. With Charter, I will need to upgrade from 3 Mbps ($25/month) to a 30 Mbps ($48/month) connection. I will have to pay $23 extra. They currently have quite a few promotions going on, but the promotional prices are only valid for the first six months. Therefore, I would rather ignore those and stick to the actual price which I would have to pay in the long run. With Comcast, their minimum speed is 20 Mbps for $30/month. But, they offer a $50/month package which includes 30 Mbps internet and Xfinity Streamplay (which includes streaming TV and movies). So, if I only use internet with Comcast, I spend $50/month. Plus, I also need to get the services of an online streaming company like Amazon Instant or Hulu or Netflix. Since Netflix is a replacement for renting DVDs, I would probably get it regardless of cable TV or not. Amazon Instant is free for Amazon Prime members which is $6.50/month and Hulu is $8/month. So, it costs roughly $58/month for internet streaming and around $80/month for cable TV and internet. I think the cost benefit is quite obvious! Another major benefit of using internet streaming is not having to go through commercials! Finishing an episode of an hour long TV show in 40 minutes is a big time saver as well. Also, being able to watch it on your own time is like having a DVR with unlimited capacity. One con that I came across is the fact that none of the shows are available instantly. They are only available a day after airing. So, if you are interested in sports, you definitely need cable TV. For me, the decision is obvious. Internet streaming is the way to go. Cable TV is becoming a thing of the past. My first first skydive experience happened on 14th August 2005. That was a few days before I was headed back to Pakistan from USA after college. It had been my dream to skydive since before I even went to college! It was just too expensive to do while being a college student. Finally, I had a chance to do it. I was living in Minneapolis at the time and the nearest drop zone was 40 minutes away! Little did I know, this would only be the beginning of a great love affair with skydiving! Unfortunately, I had to leave for Pakistan in a few days and since there were no drop zones here, I had to wait for my next trip to USA to go skydiving. Lady luck smiled upon me once more in the summer of 2009. I was going to be staying with my fraternity brother in Minneapolis and I had made a plan of spending most of my time at Skydive Twin Cities to get my license to skydive independently. No matter how many tries it took or how much it cost! Well, it wasn't that easy! I kept going there for a week and spending a small fortune on my retries. It was really difficult to keep my balance and stability while free falling from 15000 feet at 120 mph! They wanted me to turn, twist, go forward, go back etc etc. At the end of the week, I had managed to get to Category D1. There are 7 levels to pass before you can fly solo. These are Categories A, B, C, D1, D2, E1 and E2. So I was still halfway there. A couple of days ago, my phone (Wildfire S) crashed on me and went into a looping boot screen. After researching till 3 am in the morning, I couldn't find any solution to it. Finally, I gave up and wiped the whole thing to factory reset. Fortunately, I had set the phone to auto-backup every Sunday with Titanium Backup. As I had posted earlier, I had already been facing problems of low internal storage on my phone. So, I decided this would be a good time to start fresh. Now I only re-installed apps from the backups as and when needed. With Link2SD installed, I still had almost 80 MB free. During my research to come up for solutions to get the phone out of the boot loop, I came across a few posts on XDA Developers forums. I had done a lot of searching on those forums six months ago for new custom ROMs for my phone. Since it was so hard to root this phone, developers had not been interested in making ROMs for it. During those past six months, HTC Dev site released a way to root the phone. I'm guessing that caused more interest in developers to create ROMs for it. In those same forums, now I was coming across many posts promoting different custom ROMs. Now, since I had wiped the phone and had confidence that I can restore (most of) my apps and data, I figured I should mess around with some custom ROMs and see what benefits it has. Apparently, installing custom ROMs is all about changing the whole UI plus giving more freedom to overclock the CPU and removing a lot of bloatware which comes with phone. There were a lot of custom ROMs to choose from. Tigger31337 on those forums compiled a list of all the available ROMs and features of all of them. I went through the list and wanted to install the Cyanogen Mod (the unofficial version) since everyone had praises of Cyanogen's ROMs in general. For some reason, the installation didn't work on my phone. The next one I picked was Hense Mod 7. It has Sense, overclocking, and only uses 52 MB of internal memory. Despite reading reviews online suggesting that watching Avengers in 3D is no different than 2D, I thought I should still watch it in 3D. So glad I made that decision. The 3D effects of this movie are totally mind-blowing! The movie, even though its 2 hours and 10 minutes long, always kept us at the edge of our seats. There was lots of action, as would be expected, but there was a lot of comedy which wasn't expected. Fortunately, the writer had a good sense of humor. Personally, I liked the character of Tony Stark, played by Robert Downey Jr., the most! Maybe that's because Iron Man totally relies on high-end technology. His arrogance is also very humorous. A big surprise was the beautiful Cobie Smulders (of How I Met Your Mother fame) playing the role of Agent Maria Hill. First time I've seen her in a movie and she did a wonderful job. The only new superhero in the movie was Black Widow played by Scarlett Johansson. Apparently, according to IMDB.com, she has been part of the Avengers team since a while. As she has not made any appearances in any movie, I found her to be a new addition. All the other superheros have had movies on their own. Same could be said of Hawkeye played by Jeremy Renner. But he wasn't given much importance throughout this movie to be termed part of the Avengers team. Captain America's role in the superheros was very well-played by Chris Evans. Captain America has apparently woken up from coma after many years. He downed his plane in the ocean and then somehow was preserved in ice. It is mentioned early in the movie that they have made modifications to his costume, but any modifications are hardly noticeable. Overall, this movie was a treat to watch. It has been a long time since I have seen such an action-packed movie with such impressive 3D graphics. Hopefully, Joss Whedon will direct more movies with good 3D effects. I have been a big fan of Formula 1 since the time when Michael Schumacher would drive in his Ferrari as if he was taking an evening stroll around the laps. Winning a Formula 1 Grand Prix was not a big deal for him. And I really enjoyed watching the race and all the other drivers struggling to keep up with him. The Formula 1 Grand Prix in Barcelona, Spain just finished. I watched the whole race and despite there being a few interesting events, there were times I was trying hard to stay awake! Pastor Maldonaldo of the Williams Renault team really surprised everyone today. He has only been racing in the F1 since last year and managed to win their first Grand Prix in 8 years! Although the Spanish fans were truly hooting for their local hero: Fernando Alonso of the Ferrari team. He started in the second place next to Pastor Maldonaldo. Chances were high that he would easily take the pole position given his vast experience in racing. But this time Maldonaldo and the Williams Renault team had come well prepared! Maldonaldo also had some luck in his favor because Lewis Hamilton was not awarded the pole position after the McLaren team was not able to provide fuel for sampling after the qualifying. The Williams Renault team's owner had just celebrated his 70th birthday yesterday, as the commentators kept reminding us during the race. The fact that Maldonaldo got the pole position and then won the race today seemed to be a great birthday present for him! During the race Michael Schumacher caused a big accident with Bruno Senna. Even though Michael slammed his car behind Senna, he has the audacity to call Senna an 'idiot'! Don't know what the cause for the accident was. Maybe it was a confusion of some sort, or Schumacher didn't expect Senna to slow down when he did. Regardless, as the universal rule of driving is, the driver has to watch where the car in front of him is going. McLaren also made a few blunders in their pit stops. Once they left the wheel gun and the car jumped over it. The other time one of the pit crew fell over and caused confusion and slow down. Hopefully they will either have some crew changes or better training and practice! Apparently Michael Schumacher is not the same driver he was when I started watching Formula 1, but there are new drivers coming on track who are also very good. Will now start to keep my eyes out for the new drivers and maybe now the races will overall be more challenging. So far, we have been looking at Craigslist but all we are getting is students from UMN subletting for the whole summer. Hopefully, we'll have better luck in the next month or so. We have also been keeping an eye out on AirBnB but haven't found anything worthwhile. Another cool website for apartment hunting is PadMapper. It basically rounds up listings from different websites and displays it on a map. We have been trying out Apartments.com but they don't have much variety for furnished apartments on one month leases. A good option is Sublet.com. Their primary focus is on sublets which we require. This website has some good leads which I am going to follow up on. But despite there being some options here, there are still not many options to choose from. I have been using an HTC Wildfire S for the past year. It has been my first experience with the Android OS. The flexibility of installing so many apps and customizing the whole phone was really appealing to me. Unfortunately, the Wildfire S has only 150 MB of internal memory. Before purchasing it, I assumed that I could just add a 16 GB micro SD card and I would never be short of memory. I did not realize that the phone has very clear differences between 'internal' and 'external' memory. Just increasing the external memory doesn't help me much. For six months, I kept the installed apps to the minimum so I could stay within the 150 MB limit. Even the apps which supported installing to SD card, left a big footprint on the internal memory. So even if an app's description stated that it it could be installed to SD card, it did not hold much importance for me. Eventually, I realized I was hardly using the Android OS's functionality of being so customizable and being able to install many different apps. I did a lot of research online and it all led to the same conclusion: root the phone! Rooting the phone meant that it would give me access to the basic level of the phone which the manufacturer did not intend for the end user to mess with. Finally, I found someone who could use a specific hardware to give me root access. I never thought I would ever run out of memory on the phone again! I just started installing apps because I thought I might someday like to use it. Over the last six months, I installed 100+ apps! Eventually, I again started running out of internal memory. With some more research online, turns out that the small files which Link2SD stores on the internal memory to let the phone re-route to the files on the SD card, were adding up. For each app, there was the apk file, the dex file and lib file. With a 100+ apps, these small link files added up to a lot of memory. Now, it came to a point where I could not even keep 10 MB free on the internal memory. Everyday, I would get the warning that I am running low on space. I tried clearing the cache files, but they weren't a big help. After trying everything I could think of, I started removing the apps because I thought since I was living within a 150 MB capacity before rooting the phone, maybe I can cut my app hoarding a bit and be in the clear. I uninstalled as many apps as I could think I could live without but I barely scraped 15 MB off the internal memory. Turns out, I have gotten so used to using most of the apps, that I can't think of using my phone without them! Like almost everyone, I have used a Windows interface on my computer always. I have been using an Android phone for the last year, and with every new app coming out, the reasons why I NEED a Windows OS on my computer seem less and less. Now that Windows 8 is also targeting tablets and a similar app ecosystem, I am considering whether I should ditch Windows altogether for an Android tablet. In a couple of months, I will have to leave my desktop here and get a new computer in America. I would like to have the mobility of a tablet but also the comfort of typing on a keyboard. Most of the time I spend on the computer, is checking news on Google Reader or catching up on my social networks on Tweetdeck. But every now and then I have to type things like email, documents etc which would be really hard to do without a physical keyboard. For email, I use Gmail and for word processing I use Google Docs/Drive and for storage I use Google Drive, Dropbox and Box. The tablets running Android can accommodate for any use I currently have or can think of! I will need to do web development for which there are a ton of Android apps. The only drawback with tablets is the lack of a physical keyboard. With manufacturers aiming more towards mobility, the difference between ultrabooks and laptops are decreasing. I can easily assume that I do not need a DVD drive in my computer, which is the main difference left between an ultrabook and a laptop. So I don't think buying a laptop would be feasible for me since I would like to have the mobility of carrying it to classes. Between a tablet and an ultrabook the difference in hardware is: the ultrabook has the keyboard and trackpad as well as a bigger battery. But the tablet has a touchscreen! The difference in software is mostly Android for tablets and exclusively Windows for ultrabooks. As I mentioned earlier, I have no qualms about ditching Windows altogether and going for an Android OS. In the end, I would like to have a tablet but with the functionality of a physical keyboard! If you have been keeping abreast with the current news, you will know that the only one I can come across which solve my problems is the ASUS Transformer range with the keyboard dock. It is a tablet which clicks into a keyboard dock giving it an additional battery life as well. The Transformer is a good merger between a tablet and an ultrabook, giving me the best of both! Recently HTC launched their top of the line Android phone, the HTC One X. Not to be left far behind, Samsung just announced it will soon launch their top of the line Android phone, the Samsung Galaxy SIII. With the excitement of my returning to USA, I have already started researching which phone I will be buying. I have been an Android fan since a long time. Tried the iOS on other people's iPhones, but given the the flexibility of Android and the vast array of choices it offers, Android wins hands down! So, with the reviews coming out of the two new Android phones, I am debating which one should be the phone I get. My decision might get skewed by which carrier I choose to go with, but that is for another day. The only con of this model that is holding me back is the fact that there is no expandable microSD slot. But, given the fast 4G LTE networks, I might be able to work with the given 16GB memory and store backups, music, photos and documents on the cloud. Since Samsung has not released the Galaxy S III in the US as yet, I had to look for reviews done by journalists in UK. Matt Warman of The Telegraph did a very extensive review. As it happened with the One X, chances are, the Galaxy S III will also only have dual core processor to accommodate for LTE network capability. Apart from that, there is not much noticeable difference between the two except the S3's expandable microSD slot. So far, they are both on par if I disregard the microSD option. Now, the main question comes, which network will have the Galaxy S III and at what price? AT&T has announced the One X at $200 but Amazon Wireless is giving a $50 discount on it. I think my decision can go either ways, depending on my carrier choice and the price of the S3.